The Spyderco K08 Santoku is a unique Japanese kitchen knife design straddles the line between a traditional Asian cleaver and a Western chef?s knife and performs the tasks of both exceedingly well. 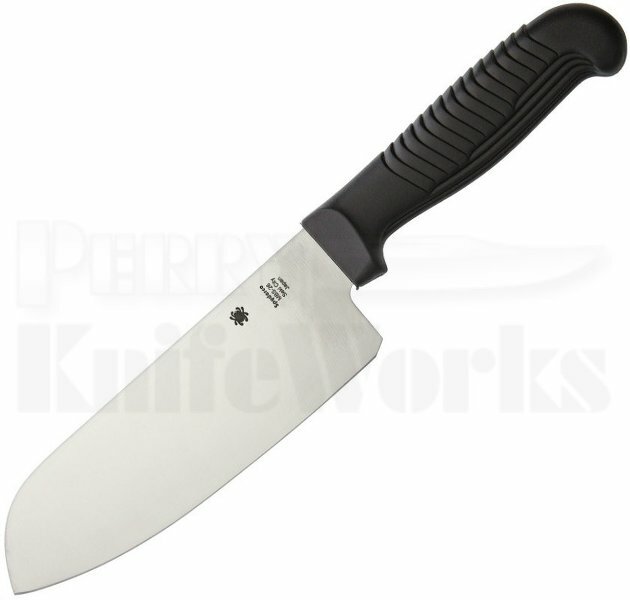 Its 6.8" blade is made from premium MBS-26 stainless steel blade, ground exceptionally thin and meticulously heat treated for optimal edge retention. The durable black polypropylene plastic handle is injection molded directly onto the tang of the blade and features a distinctive ?stepped? texture pattern that provides amazing comfort and control during use.